Cancer is a disease caused by uncontrolled division of abnormal cells in a part of the body, with the potential to invade and spread to other parts. Homeopathy is a safe and holistic system of medicine and one of the most common complementary therapy used by many to treat cancer. It improves well being and reduces side effects caused by conventional medicines, chemotherapy and radiotherapy. In addition, it helps to cope with stress, anxiety and depression connected to cancer. At GLOBAL HOMEOPATHY a combination of homeopathy medicines, dietary modifications by our dietician and a detox program goes a long way. Homeopathy is an excellent preventive for persons with strong family history of cancer. It helps to build one’s own immune response. Acts directly on the tumor to stop and reverse its growth. Improves body’s own immune response to directly act on the tumor. Global Homeopathy gives homeopathy treatment with counseling and diet for every disease. Homeopathy and counseling go hand in hand. Every patient of cancer receives constant support and motivation at Global Homeopathy. Organ affected e.g. lung cancer, uterine cancer. The program of treatment varies for different types of cancer and their stages. Signs and symptoms depend on the organ which is primarily affected and the areas or organ of spread. When cancer begins, it invariably produces no signs and symptoms. They appear as the mass grows. Common general signs and symptoms include – unexplained weight loss, loss of appetite, fever, extreme fatigue and skin changes. Causes – majority of cancers are due to environmental factors and some due to heredity. Common environmental factors include tobacco, diet and obesity, radiation, stress, lack of physical activity, pollutants in the atmosphere or at work. Common hereditary cancers are breast and ovarian cancers. Other causes are physical agents and hormones. All diseases pertaining to kidneys, ureters and bladder. Patients at Global Homeopathy have successfully been treated for recurrent urinary tract infections, nephrotic syndrome, kidney ureter and bladder stones, chronic renal failure and other conditions. Homeopathy helps to improve renal functions. Homeopathy reduces the level of toxic substances like urea and creatinine in the blood. Homeopathy reduces suffering and improves quality of life even in most serious cases. If homeopathy treatment is sought early, it helps prevent progress of the disease and also complications. Homoeopathic medicines can be started along with conventional treatment depending upon need and stage of disease. Homeopathy is safe and without side effects. It also helps in reducing the side effects produced by conventional medicines. Homeopathy stimulates the immune system of the patient to perform better thus helping the damaged kidneys slowly and gradually to regain back its function. Homeopathy helps in minimizing the number of cases proceeding towards dialysis or renal transplant. 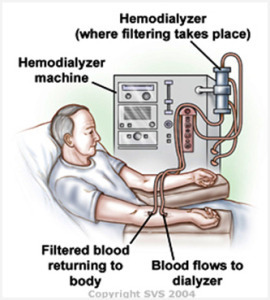 Homeopathy helps patients already on dialysis by reducing the frequency or need for dialysis. It also takes care of complications related to it. 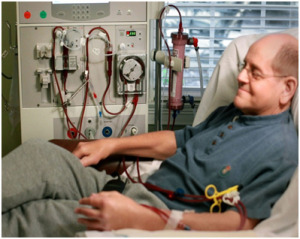 Homeopathy helps patients who have undergone renal transplant. It aids better tissue acceptance and prevents complications. Homeopathy helps those with a strong family history of chronic renal failure to avoid risk of renal failure. We at Global Homeopathy counsel and provide consultation with our in house dietician and guide you through lifestyle modifications to achieve best results. Common diseases of the urinary system are – recurrent urinary tract infections, stones or calculi, nephrotic syndrome, diabetic nephropathy, acute and chronic renal failure, hydronephrosis, renal hypertension, urinary tract obstruction, nephritis, tumor and cancer. Common causes of urinary tract diseases – diabetes, high blood pressure, infections, analgesics or pain killers, chemotherapy agents, polycystic kidney disease, IgA nephropathy or post streptococcal glomerulonephritis associated with sore throat and upper respiratory tract infections, obstruction of urinary tract due to stones, tumor or prostate. Important kidney functions – excretion of wastes, reabsorption of vital nutrients, blood pressure regulation, acid base balance, water balance and hormone secretion. Common signs and symptoms of urinary diseases – puffiness of face, swelling of ankles and feet, changes in urination frequent difficult painful with or without blood, weight loss, poor appetite, fatigue, weakness, nausea and vomiting, pain in flanks, fever, muscle cramps, increased blood pressure, shortness of breath, bad taste in the mouth or bad breath, skin rash and itching. In severe cases confusion, drowsiness, convulsions and coma. Role of diet is of utmost importance for those with impaired renal function. Since kidneys cannot easily remove excess water, salt or potassium, these may need to be consumed in limited quantities.